Anyone have a 204 ? I have been reading about how the 204 ruger is very accurate, no recoil, and flat shooting. I really want a Howa mini action and the 204 seems like a perfect fit. The only downside I can see for the Howa is only a 20” barrel. I have absolutely no need presently for a 204, but it would make a good around the farm rifle. I would buy dies since I reload for all my firearms. If you have one do you like it? Any advice? Edit - if you do have a 204, please share the specs etc. I think it might be perfect for what you have in mind. I have one I use as a truck rifle and really like it. It is a laser to 400 yds, has no recoil, tends to accurate. What brand rifle/setup do you have in the 204? How lethal are they on coyotes? I have heard mixed reports. I have a cheap Ruger American, I don’t remember which model, but it has a green stock and threaded barrel. It is shoots factory 32g ammo so well I don’t even reload for it. It has accounted for at least a dozen coyotes and countless small varmints. I have also had several CZ rifles in 204 and really liked them, but don’t care for the reversed safety. I have one in AR15 DPMS with 26" SS Fluted barrel, it is a laser. We have a blast shooting p-dogs and yotes with it. It will shoot clovers at 100 yards. I also reload but I've only tried CFE223 with it but it's been great. That rifle is gorgeous. I hope you kept that stock! I have only been Pdog shooting once and loved it. I have read a lot about Pdog shooting and many people stated if you can only have one rifle for Pdogs - 204 caliber. I have a .204 in a R 700 VSSF w/ 26" barrel and an AR w/ a 24" Lilja varmint barrel. 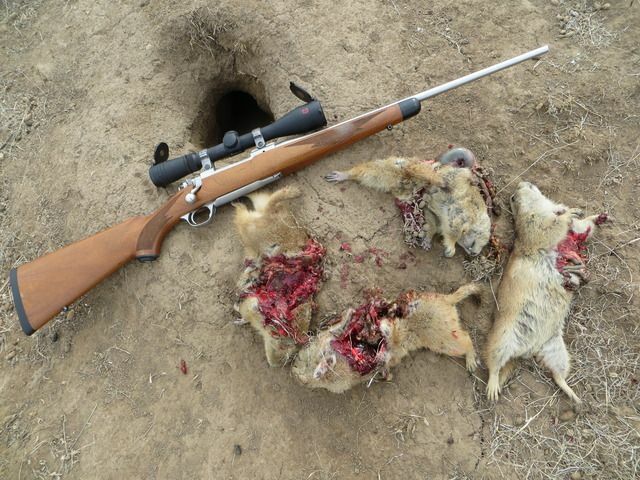 Both are tack drivers, no recoil, and easily see your hits on prairie dogs, which at 4000 fps are often spectacular. I really like my 204s...out to about 3-400yds. 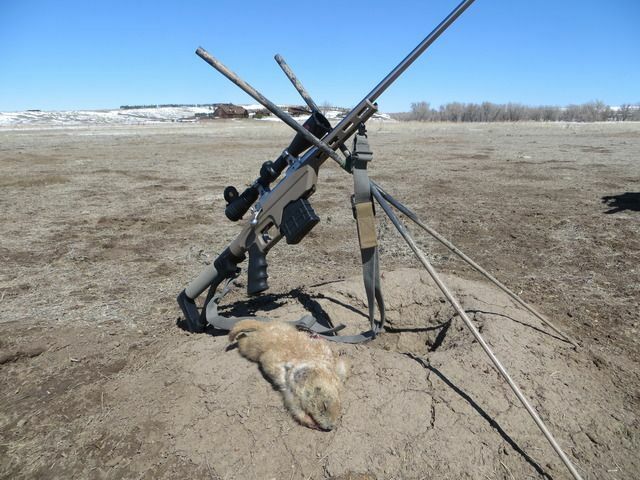 Pushing 32gr vmax they are fine on everything up to yotes. Wind can be tough on those little pills though...more drift than you would think. 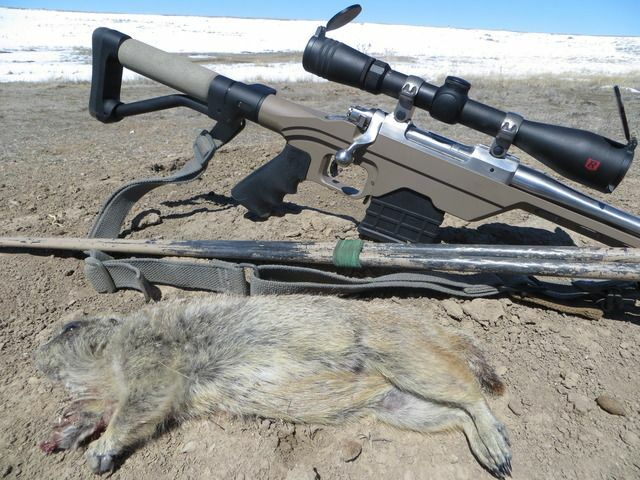 I have a Tikka T3 Lite stainless in .204, unless its really windy or 400+ yard shots are anticipated, its my go to varmint rifle. I had my 20” Tikka threaded. It sounds great with a SiCo Omega. S&B 8x56 on top. Like others have said, point and shoot, it’s a lazer. I have a 204 ruger in a savage model 11. My dad does as well. no elevation up to about 350 yards for us. 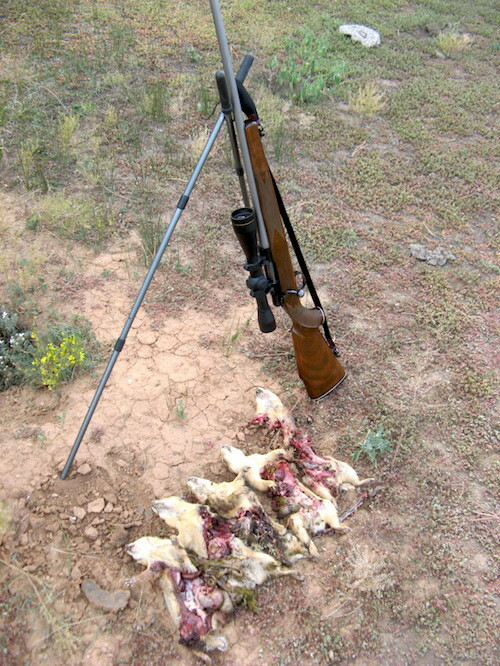 after that, hold on the coyotes upper back at 400 yards, goes clean through the chest. 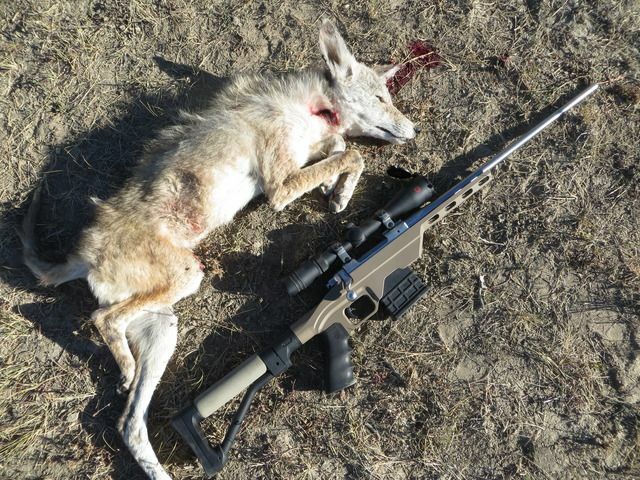 My dad shot a coyote at 452 yards with his bone stock savage 11 204.
we love it. ammo a little pricey but its fun to shoot. you won't find a better shooter for what its made for. I have read a lot where people can easily see impacts thru the scope with a 204. 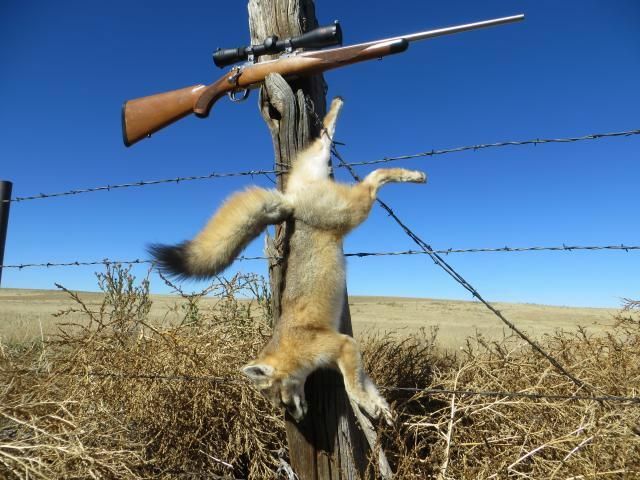 Is this the case with varmint weight barrels only? Or does it hold true with sporter barrels? It’s similar to .223 in recoil...maybe less since the projectile is so small. Mine is a short sporter barrel and with the 32gr pills is easy to spot, easier still when suppressed. It is an awesome little round. If I'm walking around my place during daylight I usually take it to shoot targets of opportunity like crows, varmints, hogs. At night I grab the AR with heavier bullets bc hogs are the main target of opportunity. ask @Nightsniper about his AR 204 build. best shooting thing ever for night hunting. Little on the heavy side, but that thing puts 10 rounds in same hole at 100 yards. 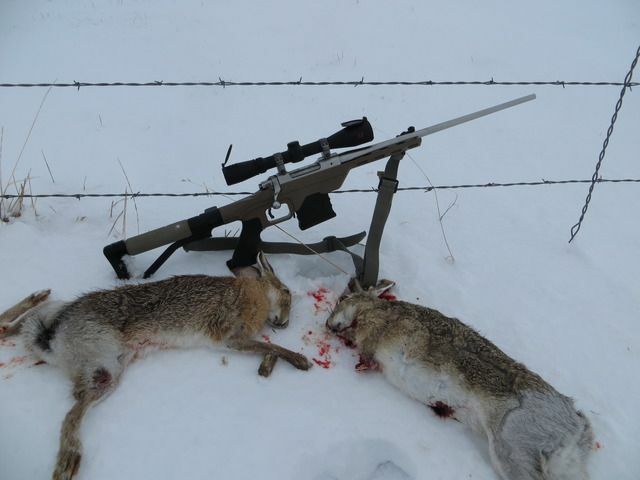 The 204 is a way better performer on small game than a 223. I have two and have built up two more for friends. We all use 39gr Sierra BlitzKings at about 3900fps. It's a fantastic round in the wind and at distance. Very little recoil too. If you have a decent rest you can always spot your shots. What is the best twist rate? 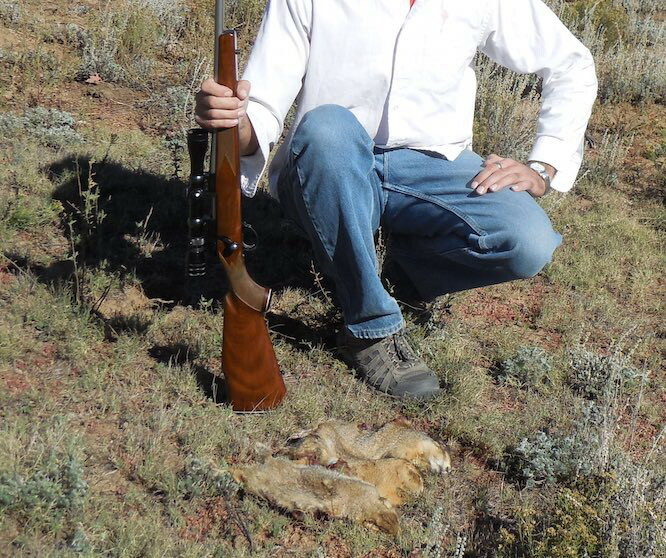 I have the Kimber Pro Varmint in 204. I believe it has 1 in 12 twist rate. I shoot the Hornady 32 gr v-max. Definitely a shooter and one of my favorite 20 caliber cartidges. If you decide to build one, go for a twist that will shoot 50gr bullets. They are a specialty item but they improve the long range performance. I personally echo what has been said earlier, if you're trying to get out there longer ranges, say 400 +, then you jump to a 223 with a 75 or 80 grain eldm and have much more potential down range. 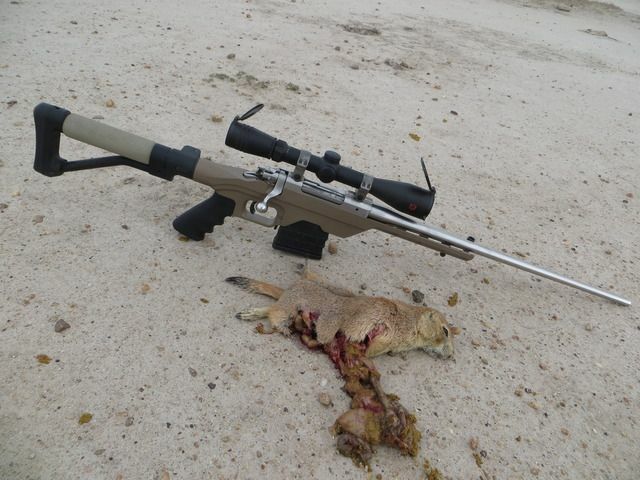 i consider my 204 a handy, FAST, little varmint rig for the majority of kills inside of 400 yards. I have had three .204's in Baer AR's or with Baer barrels. Also the very similar 20 TAC on a Borden Action with Bartline. Also doing some builds with PR CF barrels just now. No data yet. Barrels from 20" to 26" Guessing about 6K rounds fired total. Mostly at crows, coyotes and other varmints. 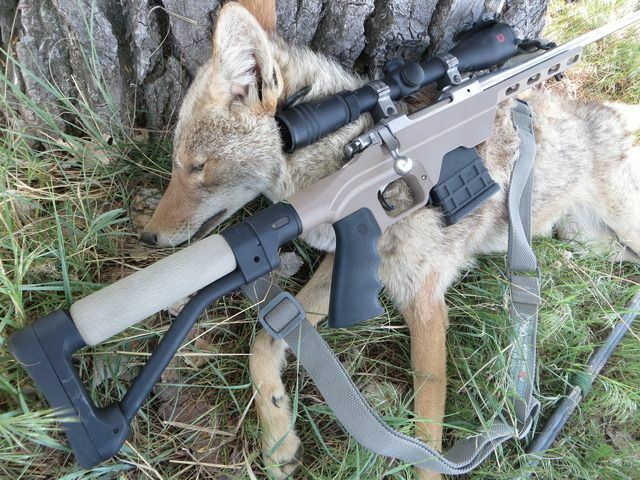 I have never had a coyote go any distance when shot in a vital area with the 32 grain bullet. Most are simply dead in tracks out to 400M. The Hornady factory load with 32 grain bullet is really tough to beat. It has speed, accuracy and kills very well. Surprisingly, it shoots well to 600M with the 32 grain bullet. In my real world accuracy, drop and drift test it outshoots the 39 grain bullets. No idea why. Might be a fluke but I will believe the bullet. I have a stack of ammo for it to burn out a few barrels and have not reloaded much yet. I have bullets, dies and thousands of once fired cases sized and primed. My bores show excellent condition even with a couple thousand rounds down the tubes fired mostly one shot at a time. I do load for the 20 TAC of course. My rifles are heavy and recoil is basically zero. On paper the heavier bullets look better. In practice, I do not find that to be the case. I use the 32 grain load when removing does, which is a legal cartridge where I live. Out to 400 meters it simply works. I have not tried it further. It is a real no go in brush or even hitting a leaf, branch or blade of grass. Done. I like that as it seems safe to use in settled areas. A 20 cal small capacity case ctg is on my list of 4 chamberings that I must have to do what I do. For me it displaced the 22 Hornet, 22-250, 220 Swift and light bullet .223's. I had a Cooper M21 in 204R. A lot to like but I found the barrel heated up quick, it was loud, and there was more rifle upset than I liked, so I went to a 20-221AI which is as neat as it gets at 3735 fps with 18.8 grains of powder in a 21" barrel. Then I built a 223AI which is awesome with heavies even past 1000Y. It's the smallest cartridge with the most long range performance I've come across and in a heavy rifle the sight picture upset is less than I expected. The H 204/32gr factory ammo did shoot surprisingly well and if I didn't reload it'd be my first choice, as well as 204 for a varmint round in a stock rifle. Great caliber. 39g Sierra BK over a charge of BL(c)2 is a great combo. The Hornady 32g factory ammo shoots very well also. Just took this barrel out of the lathe a few hours ago. 17” Krieger #2 in 20-221fireball on a Howa Mini. Ignore the scope and stock. I only assembled to test fire. The short little rounds feed like a dream out of the Howa mags. It’ll ultimately get a light weight wood stock, and some petite optic, not sure on that. Love how you can shoot the 20-221 without making much heat. OP, the 20’s are bitchin, and the .204 is a hotrod, you won’t be disappointed. 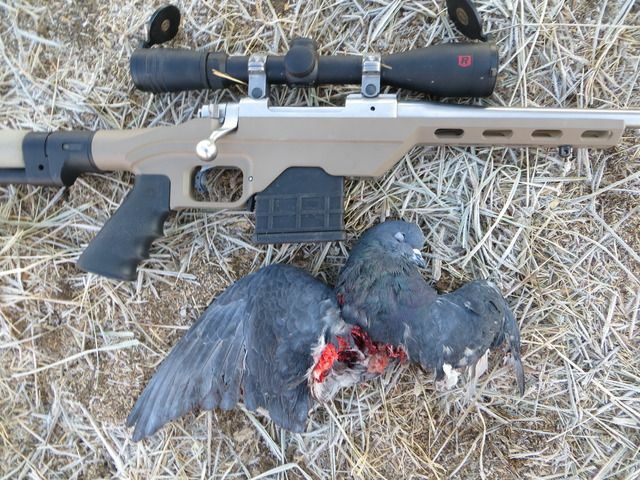 Howa is marketing the mini’s with the MDT Oryx stock above. Not sure if they’re officially out yet, but they can’t be far off. I like petite actions for small rounds. My other favorite is the cooper 21 which Steve mentioned above, it isn’t a repeater though. Seems like everyone makes a .204 though, so pick whatever you like. Don’t overlook a Tikka if you go full sized. Is that a 10 round mag??!! If so that is really cool, and advantageous! A portion of my .204 ammo supply. Stacked double deep. @Supersubes I am like you in the respect of liking the smaller actions for the smaller cartridges. The only problem is there are only 2 choices: the Howa mini and the CZ 527. We have the model 7 too, but I am not sure if it is as small. I thought about buying a howa mini in 204 off of Gunbroker, but a lot of people recommend 24” to 26” barrels for the 204 ruger. Yes, 10. The Brownells barreled actions come with bottom metal (which is plastic) and one ten round mag in the .223 sized cases. Larger cartridges like 7.62x35 and Grendel are 5 rounds. Very glad the 221 case feeds well. So smooth you can hardly feel them stripping from the mag. My other main 20 cal cartridge is the 20 practical. Owned a few now, started long, and have gotten shorter over time, and the hit percentage hasn’t gone down. There’s no magic, shortening a 20 is like shortening anything else. Just depends on what “around the farm” means to you. I’ve been prioritizing handy over ultimate performance. Either way, I don’t think you’ll be disappointed. I bought a Savage Model 12 VLP in .204 around 2005. It has a nice laminated wood stock and AccuTrigger, but it's pre-AccuStock. I topped it with a Schmidt & Bender PMII 5-25. I use it for deer hunting--headshots only. It is surprisingly accurate for a factory rifle. Where I hunt, 200 yards is generally the longest shot you'll get, so I don't reach out too far with it, but it will consistently shoot .5 to .75 MOA at 200 with the load I developed for it. I've never shot any factory ammunition through it, so I don't know how it would do with that. I've taken 5 or 6 deer with it with 32-40 grain v-max bullets. I bought two of those rifles. Got lucky and both shoot the same loads nearly identical. I thought about shortening one to 20 VarTarg, but I don't think that will happen. I'll probably take a 527 with a damaged barrel and build it. The 20's are great cartridges. Got a mosberg MVP in 204r one of my favorite ground grizzly guns. I shoot midsouth 34fbhp over h335 smokes groundhogs easily inside 400. I have a 50 year old Sako L461 rebarreled to .204. .204 is not my first choice, but the rifle was too good a deal to pass up and came with dies, brass, and bullets to boot. It is a lightweight gun and the SS barrel heats up fast. It has a surprising amount of recoil for what it is and my (preferred) suppressed 10.5lb CZ 527 in .223 Rem has less recoil making spotting shots at Pdogs a lot easier. I haven't tried to push it too hard given the scarcity of tiny Sako parts, but so far it shoots 40 Nosler BTs at about 3750 from a 21" barrel. At my native elevation the trajectory is very flat but then again so is my .220 Swift and my .243 AI. Were I to do it all over again, I'd just get a 24" .223 AI and shoot the 50s at 3600 through a Howa Mini at NATO pressures. The Mini is a very close knockoff of the L461, just no hinged metal floor plate and about 1/3 the price of a nice Sako. The selection of .224" bullets cannot be denied; 30gr to 95gr. Pick your poison. A The 204 is a fine cartridge and fits the gap between a 223 and 22-250. My buddy had one and shot it for a couple of seasons and got rid of it. He went back to the 223 and 50gr vmax and bt. I've always shot 55gr bt but have switched over to the 50gr vmaxs, they're brutal. But now I've found the 53gr vmax which had better BC's than even some 60gr bullets. I should be able to get 3200 fps out of my HBAR. If they are as explosive as the 50gr vmax's I'll be one happy camper. I agree with mcfred about a 223 AI. That would make a truck gun! Why did your friend go back to the 223 after shooting the 204 for a couple of seasons? He didn't feel like he gained much shooting the 204 over his 223. He also complained that the 204 was alittle more difficult to load for because of the smaller size bullets. The last thing was the cost. He said the price for loading at the time was a little more than the 223.